Trump’s corporate tax cut — from 35% to 21% — saved Patagonia $10 million last year. 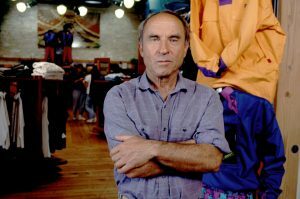 Patagonia’s founder calls the tax cut “irresponsible” and is sending his piece of the pie back to the planet. “Our home planet needs it more than we do,” the release says. A big chunk of the money will go toward supporting regenerative agriculture, which the company believes could be “our greatest hope” for reversing global warming. The rest will go toward renewable energy and protecting land from human development. “Our government continues to ignore the seriousness and causes of the climate crisis,” wrote Patagonia’s founder Yvon Chouinard. The bold move comes a year after Chouinard decided to sue Trump for reducing the size of Bear Ears and Grand Staircase-Escalante National Monuments in Utah. Commendable. Maybe the can use some of that money to clean up the radiation on the Pacific Ocean from Japan, to help save the base of our survival. When the oceans are dead so are we. So, climate change is mostly a natural phenomenon that we as humans are accelerating to a point. Pesticides and radiation, I feel, are accelerating extinction events more rapidly, carbon foot print notwithstanding. It would be a great idea to set up funding for low-income houses to go solar. If Patagonia wants to really help the environment, it should stop using polyester in its clothing. Does that moron not see the irony in all of this?